I'm all for a good style challenge, so when my favorites at P.J. Salvage had the fun idea to style a set of their pajama wear for the day AND night, it was on like donkey kong! I immediately fell in love with this pastel watercolor set because the style is classic but the print just screams FUN! I knew that wearing both the top or bottoms would easily fit into my bright personal style with ease. If you haven't already checked out P.J. Salvage, what are you waiting for? 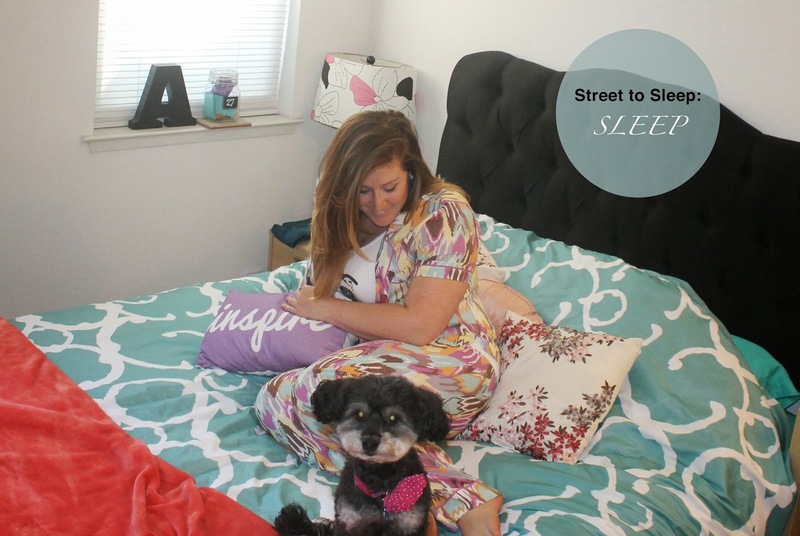 They not only have super comfortable sleepwear, but the styles, colors and prints are the best...not to mention they love dogs as much as I do! Check out what other styles I've been rocking here and here. Love the print! And the Tula cameo! Super cutes! Love the dual purpose of these cheeky pjs- I may need a pair, asap!